How could one not love an Italian bar? First, an espresso! Then sit back and watch life take place before your eyes. 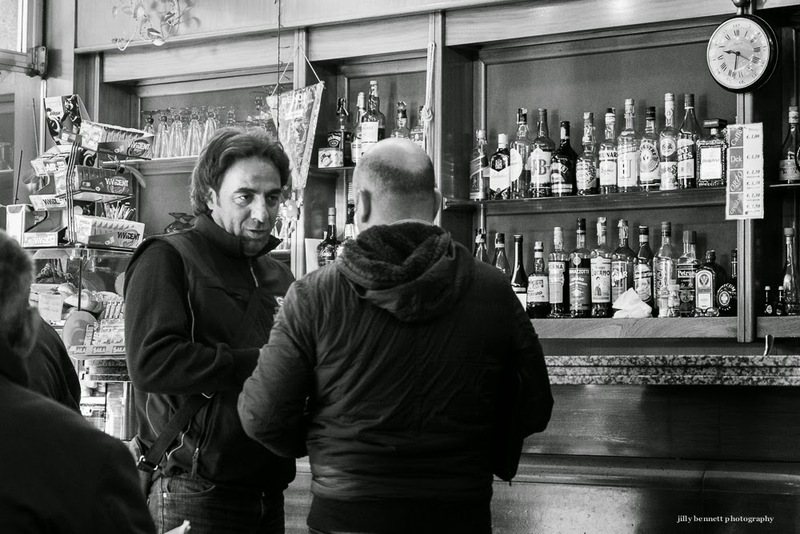 Comment ne peut-on pas aimer un bar italien ? D'abord, un expresso! Puis asseyez-vous et regardez la vie qui se déroule devant vos yeux. I have never learned to enjoy espresso, but give me a cup of coffee and I can sit there for a few hours. I love your pictures of Ventimiglia! Stefan, when I order an espresso it occasionally comes with a jug of water because they think, being a foreigner, I'll not want an espresso - which I do! A terrific slice of life shot, Jilly. I've had espresso once, but didn't particularly care for it.